A trend started by BMWBLOG years ago continues today with a new episode. With the launch of a new BMW, we take the time to compare it against the outgoing model. 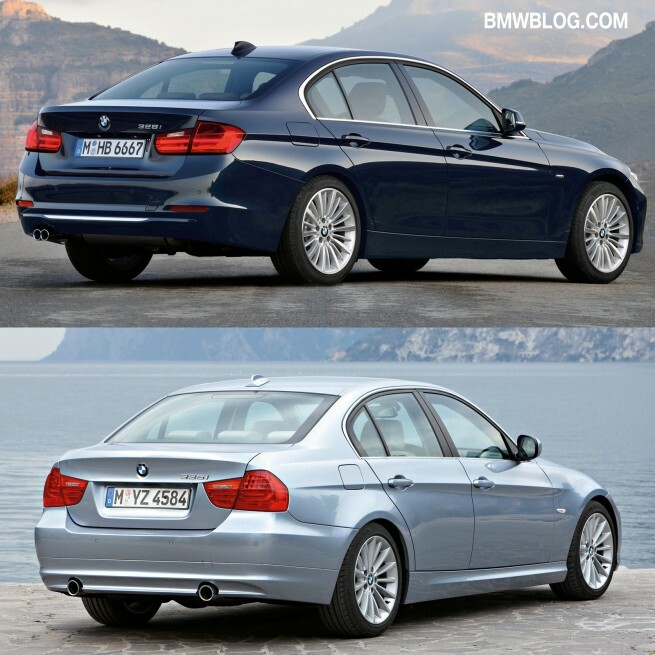 Today, we are giving you a photo comparison between the all-new F30 BMW 3 Series and the E90 3 Series Sedan. The sixth generation of the 3 Series has grown moderately in size compared to its predecessor, with its wide track (front + 37 mm/1.46 in., rear + 47 mm/1.85 in.) particularly prominent, and the car’s length (+ 93 mm/3.66 in.) and wheelbase (+ 50 mm/1.96 in.) also accentuates its sporting allure. Design wise, the styling of the F30 3 Series is an evolution of the outgoing model. The lines follow the design language seen in the new 5 Series, with concave and convex shapes providing a sporty stance and image. The flanks of the car are shaped by an eye-catching double character line running alongside each other. 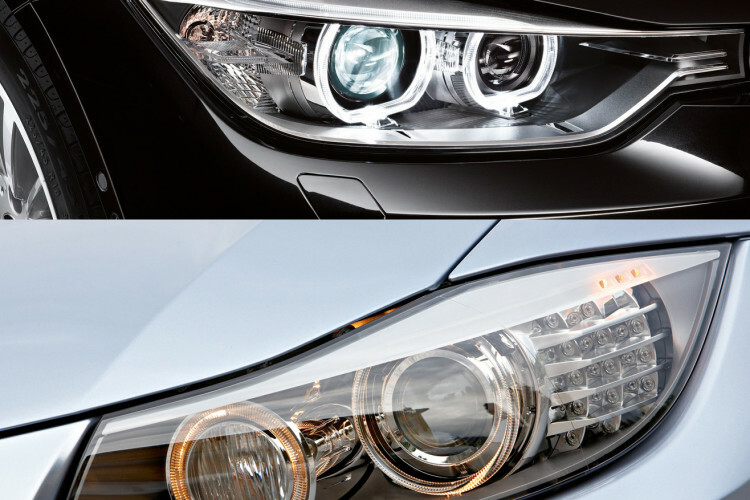 At the front, the headlights have been completely redesigned. For the first time, the lights end directly in the kidney grille, providing a 3D look. The kidney grille also inherits the 3D aspect as seen on the new 6 Series. The rear lights continue the BMW L-shaped design positioned at the outer edges of the rear – accentuate the broad face of the wheels and wide track of the new BMW 3 Series Sedan. Inside, the level of luxury of the new 3 Series moves up a notch. A BMW core value, the driver-focused cockpit, is even more emphasized in the F30 3 Series. The cockpit is angled towards the driver by seven degrees. The materials used inside the car resemble the ones found in the 5 Series Sedan, with small changes for each one of the lines: Sport, Modern and Luxury. The cockpit’s four circular dials (fuel gauge, speedometer, tachometer and oil temperature gauge) come with a black panel display. The car’s larger dimensions ensure rear passengers are welcomed by 0.71 in. /18 mm of extra legroom inside the doors as they climb aboard. Behind the fully contoured front seats, 0.6 in / 15 mm of additional knee room and 0.31in. / 8 mm of extra headroom further enhance the passengers’ comfort on the road. 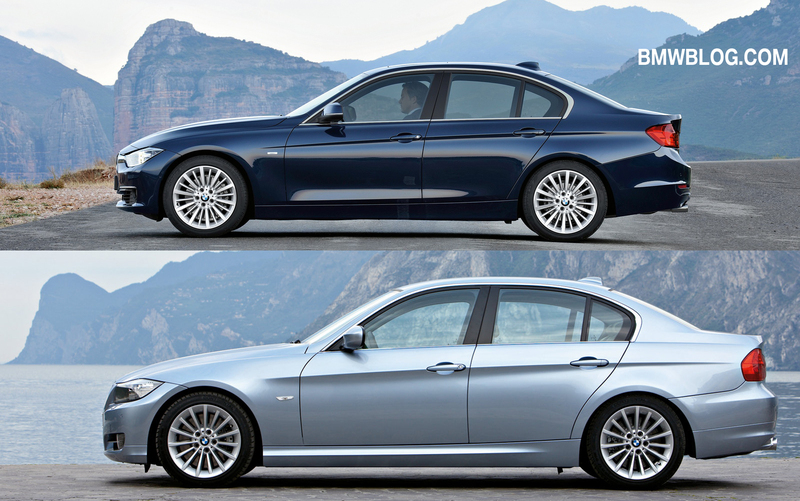 A more details design analysis will be up shortly on BMWBLOG, but in the mean time, please tell us which design do you prefer most.